Scapolite encourages creativity and independence, and its use is recommended in some books for the treatment of eye diseases. Gold Scapolite has a mood-lifting effect, similar to citrine, and can increase energy, and also to support and purify the filter organs – particularly the liver and spleen. 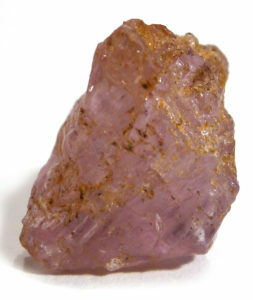 Violet Scapolite opens and connects the Crown and Third Eye Chakras, and can be used in working with the ‘subtle bodies’. Violet Scapolite supports both psychic and spiritual development, filling the body with light. 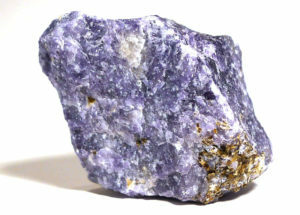 Blue scapolite enhances communication, and can support thyroid function. Scapolites are primarily metamorphic, although occasionally found in igneous intrusions, and most commonly occur in regionally metamorphosed rocks such as marble. Crystals are short and prismatic, often pyramidal or pinacoidal in development, and habit can also be granular or massive. It can be colourless, white grey, yellow, orange, pink, purple or blue. 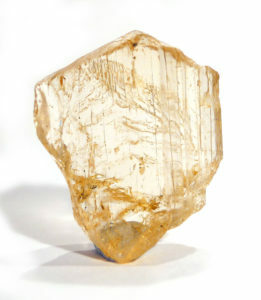 Scapolite was once believed to be a single mineral – calcium aluminosilicate, but is now recognised as a compositional group of minerals, ranging from calcium-rich merionite to sodium-rich marialite.